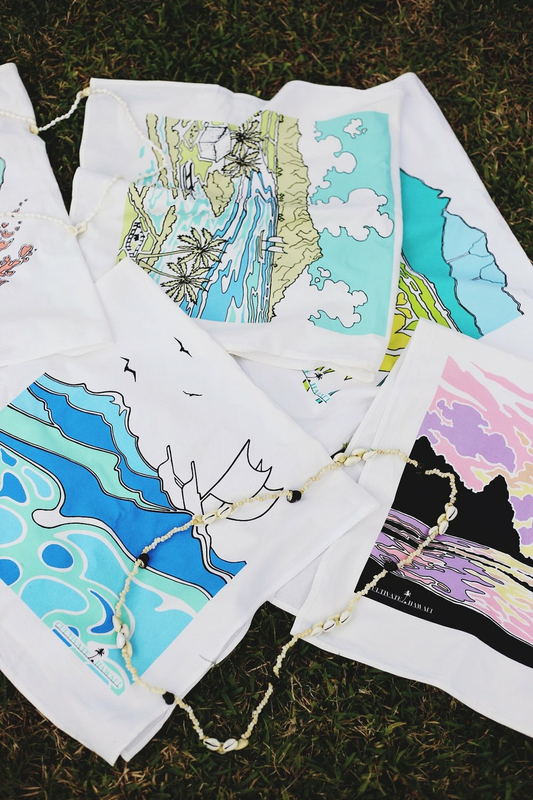 Started by two friends on Kaua`i with the shared passion of nature and design, Cultivate incorporates the beauty and culture of the islands into every detail of our tea towels. Our love for bold colors and simple lines has driven our artistic inspiration, and our love for the people and the planet has driven our material selection and production process. All of our art is inspired by the islands, created by Cultivate’s very own Merlin Edmonds. Born and raised on Kaua`i, he is further inspired through his conservation and botany work at the National Tropical Botanical Gardens in Haena. His art brings the natural beauty and ethereal warmth of the island to life, and is a unique style we are excited to share with you through our towels.